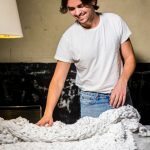 Closs & HamblinTutorialsHow To Make…A Superhero Cape! 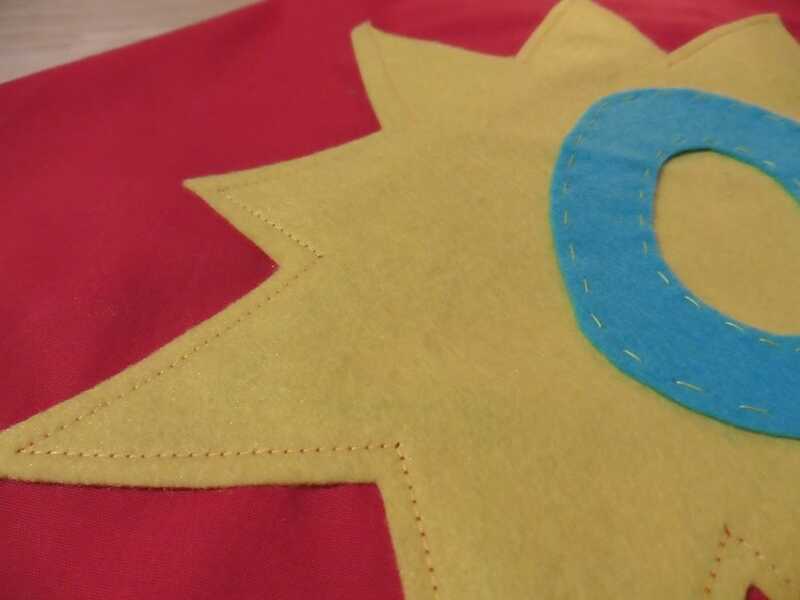 How To Make…A Superhero Cape! Do you know someone who is mad on superheroes? Do they dream to one day be a superhero themselves? 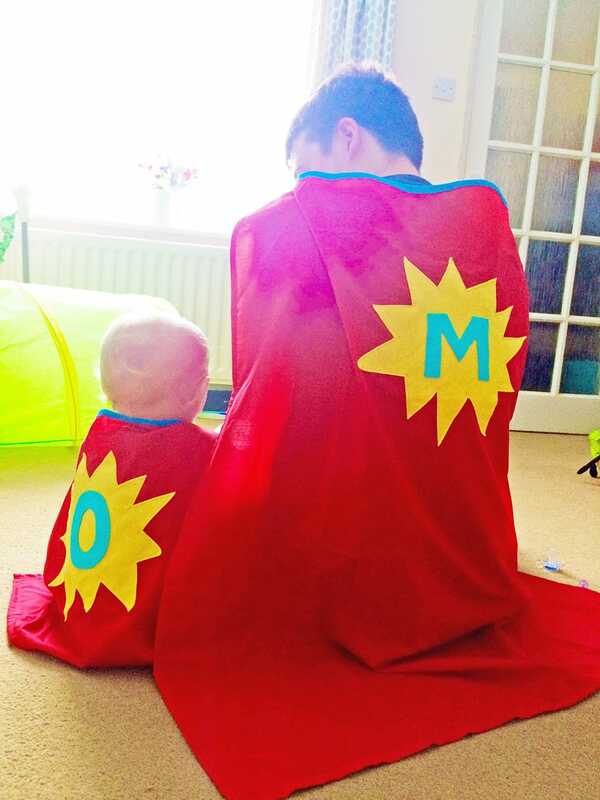 Make their dream come true with this quick and simple personalised superhero cape! 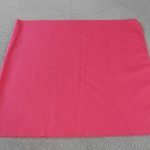 Lay your fabric out and fold in half. The fold line will become the centre of the cape. 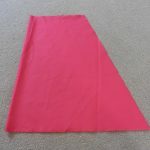 Draw a diagonal line down the length of the cape, starting about 20-30cm away from the fold line. This diagonal line will form the edges to the cape. Cut down this line. 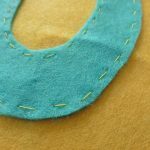 Next you need to make the shape of the neckline. The easiest way to do this is to draw around something round! A side plate is the perfect size for a child or a dinner plate for an adult. Leave about 6cm on the right hand side. You may need to straighten off the edge of the fold line. 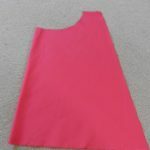 Open out the fabric and you should be left with something that looks like a cape! 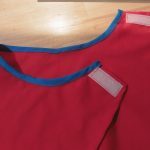 Next, fold a double hem along all of the edges, except for the neckline and pin in place. 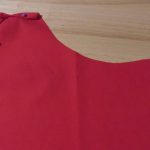 By folding the hem over twice you will hide all of the raw edges. 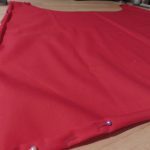 Using red thread and a sewing machine, sew all the hems to secure them. 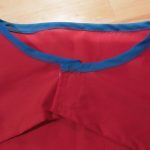 It is now time to add bias binding to the neckline. 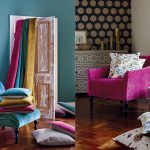 We have used a contrasting colour and thread but you can use whatever colour you prefer. Pin the bias binding in place and then carefully sew. 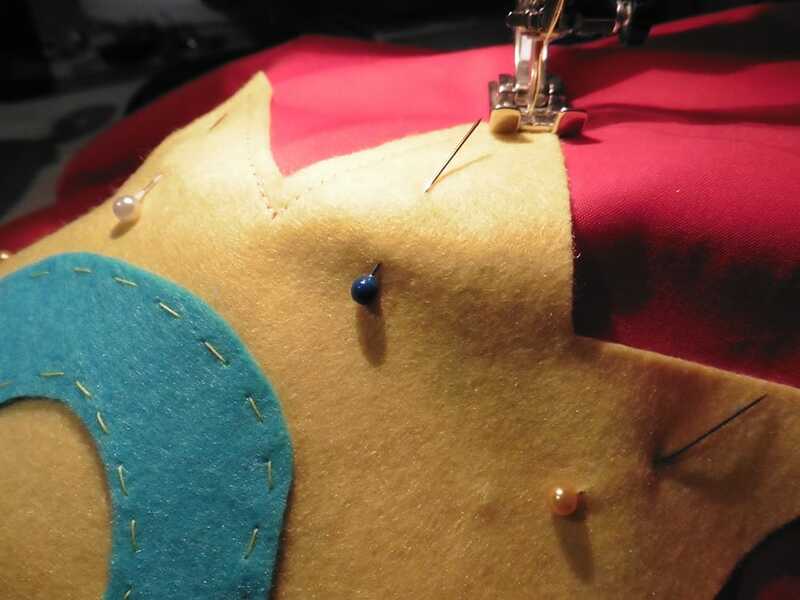 If you don’t catch the back in places, simply go back and sew over these areas. 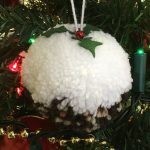 Next you need to sew the Velcro so that you can fasten it. 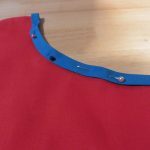 It doesn’t matter which part goes on which side, however you must make sure that one is sewn to the underside of the cape and the other to the top. The best way to do this is to imagine you are putting the cape on and pretend to fasten it. Then you will be able to see which part needs to go where! You now have a fully working cape, but it is time to add the personal touches! 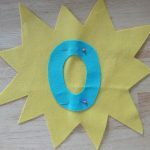 Using yellow felt, cut out the star shape and a letter in the blue felt (here ‘O’ stands for Oliver!) 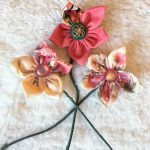 Pin the letter in place and hand sew it on using a simple running stitch. 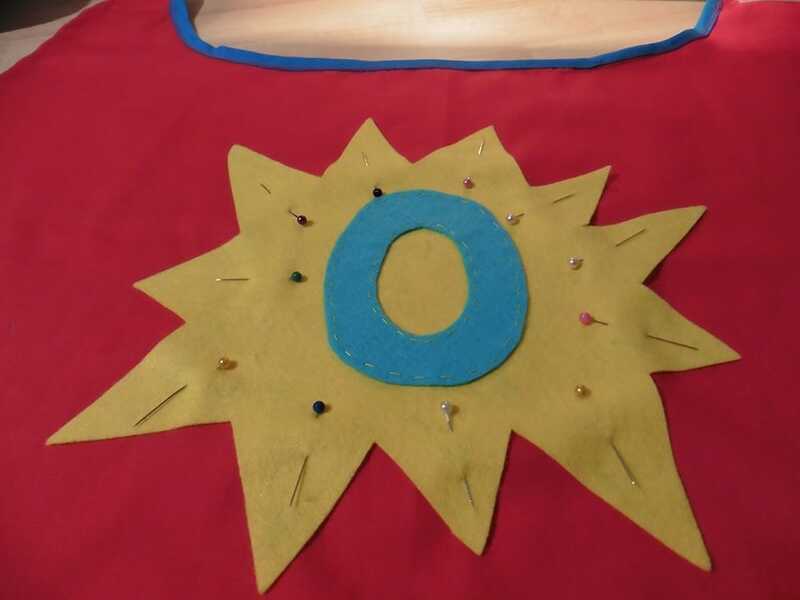 Lastly, sew your motif onto the cape! 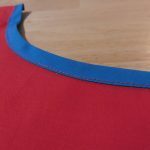 I used a yellow top thread but a red in the bobbin to create a dashed effect on the front. 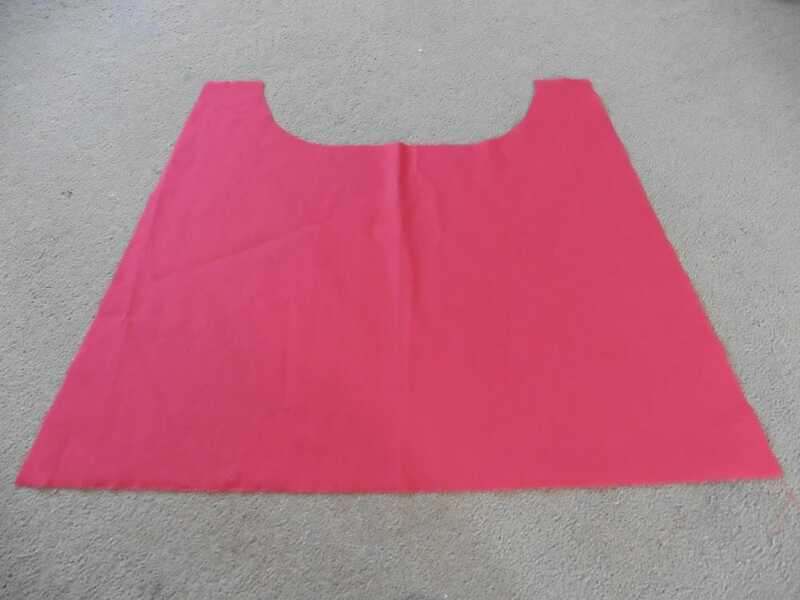 It also means that the outline will not be visible on the inside of the cape! 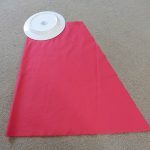 Now the cape is ready to go and your little (or big) kid is ready to go and save the world!